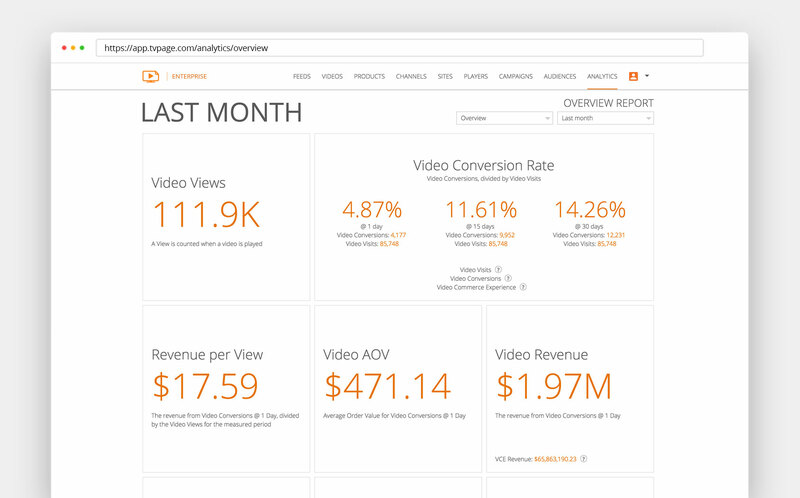 The VCC enables you to easily source, manage and moderate all video and photo assets, and publish content directly to your site in a manner that works seamlessly with your existing commerce platform. The engine provides for ideal architectural flexibility when deploying shoppable video and photos to your site, with a choice of embeddable widgets for rendering dynamic shoppable content on existing pages (see below), TV Pages for optimal SEO and discoverability, and a robust API-based framework with multiple avenues to access both content and associated Video Commerce Intelligence, enabling you to decide how you wish to control and serve your video commerce experiences. 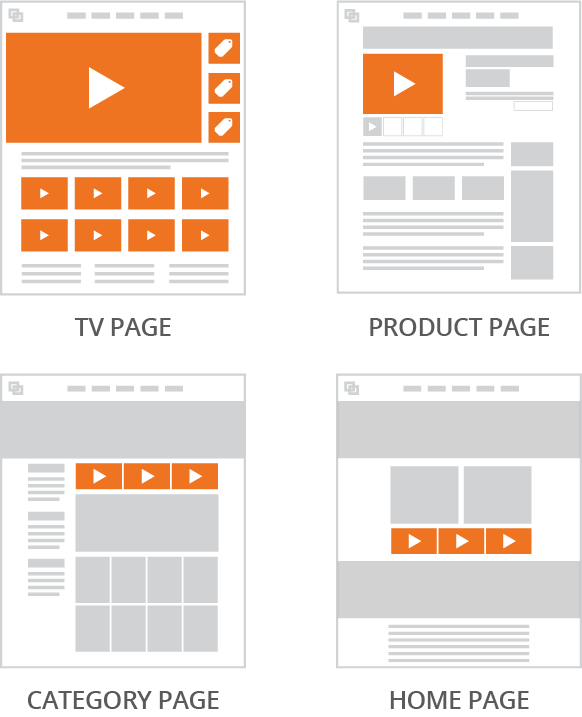 TV Pages can also be published and served directly from the Video Commerce Cloud utilizing a sub-folder or sub-domain configuration (with seamless header/footer sync for complete site integration). This data was derived from a study ran by TVPage across multiple clients in different verticals during a 12-month period. 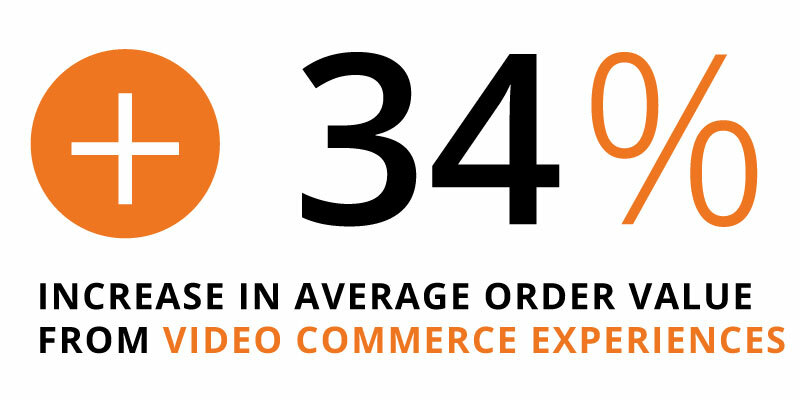 On average, TVPage saw an increase of 34% when comparing average order values from video visits versus average order values from standard non-video visits.